School has a library which is well stocked with the latest books. The library has spacious well-lit study cubicles for students from class VII to XII. The aesthetically designed library provides just the right ambience for pursuing studies. The junior school is provided with class libraries. Each class is well stocked with variety of story books. There are two library periods per week. Students are encouraged to do extra reading and a record of the books read by them is maintained. School provides computer learning for all the classes from I to XII. There are well equipped laboratories with computers on LAN, multimedia and internet facility is also available for the children. Education is imparted with the help of digital projector making learning more effective and long lasting. Each year students participate in computer symposium. Each child is trained on a separate computer under the guidance of a computer trained teacher. Equal importance is given to sports and academics. The school has adequate sports facilities for all major games. 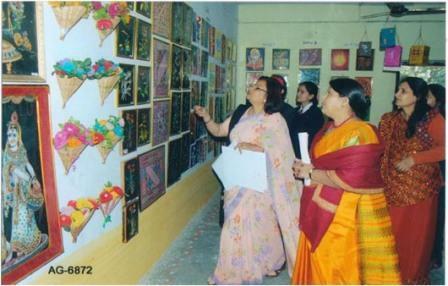 Students are encouraged to participate in various inter & intra school level competitions. The teams are sent to different schools within the station and out-stations to take part. 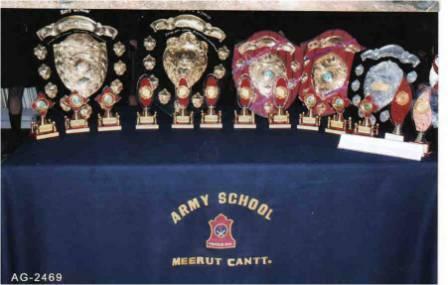 The School has won many international, national, state, zonal and inter school championship. The school has been the mentor for many sports prodigies at different levels, thanks to the the facilities provided and weightage given to sports in the school. 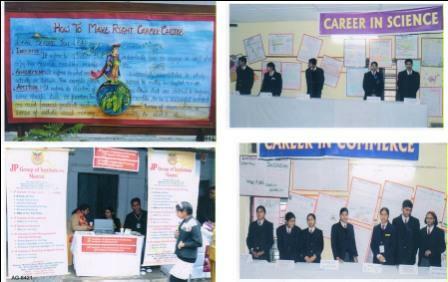 Extensive emphasis is laid on enhancement of various skills round the year. Numerous opportunities are provided to the students to participate in these activities, which include debates, declamations, recitation, extempore, music, dramatics and painting, excursions etc, which the students join on the basis of their aptitude. There are various hobby clubs functional in the school which the students may join. These include environment, health & hygine, computer, photography, geography, art & craft, music & dance etc. In order to develop the aesthetic sense and creativity in our children, we provide a practical experience through a programme of Art and Craft. 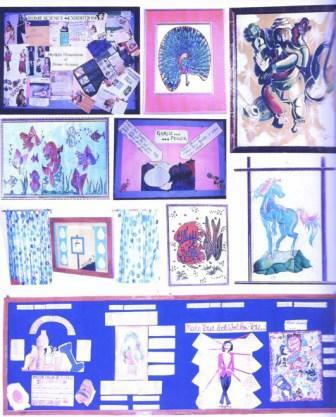 Children are taken to the world of creativity through a well planed and carefully structured curriculum of art and craft. Children are encouraged to be innovative and have freedom of expression through various projects and assignments under art and craft. In order to inculcate the sprit of healthy competition and cooperation amongst the students, all competitive activities are organized on house basis. There are four houses viz. Manekshaw, Cariappa, Vaidya and Sunderji. Running trophies have been instituted for all competitive activities for which the team vie for. 'CockHouse Trophy' is awarded to the house adjudged best, taking into account all the academic results, activities and other performances throughout the year. Our aim is to help our children in their holistic growth and development . The school employs the services of a qualified counsellor. The emotional and behavioural upheavals and uncertainties of small children along with major and minor irritants are dealt with effectively. Parents meet the counsellor as and when required. Formal Parent-Teacher meetings are held periodically. Parents are addressed collectively as well as individually and guided as to how they can help their children to improve their overall performance and become a better human-being. Thus, through the efforts of a counsellor and sympathetic teacher, children overcome their inhibitions and share their problems without fear. In order to promote healthy habits among the young, �A Health Club� functions which helps in promoting healthy and positive way of living among the students. Various activities are constantly carried out throughout the year for physical, emotional, and mental health of our students. The course includes healthy food habits, personal hygiene, environmental awareness, cleanliners , physical exercises and psycho-motor activities. The activities are conducted throughout the year. 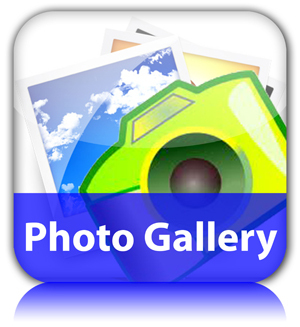 Children are encouraged to participate actively in these activities. The school has well equipped M.I Room with a qualified nurse. A qualified doctor visits the school twice a week. Besides this, a regular health checkup is done for the children. A qualified team of doctors from M.H visits the school annualy and examines each student throughly. A medical card for each student is regularly maintained. With a view to provide an insurance cover to the students and employees of Army Public Schools, an insurance policy by the name of Vidyarthi Suraksha Kavach from ICICI Lomabrd General Insurance Co. Ltd. has been obtained.